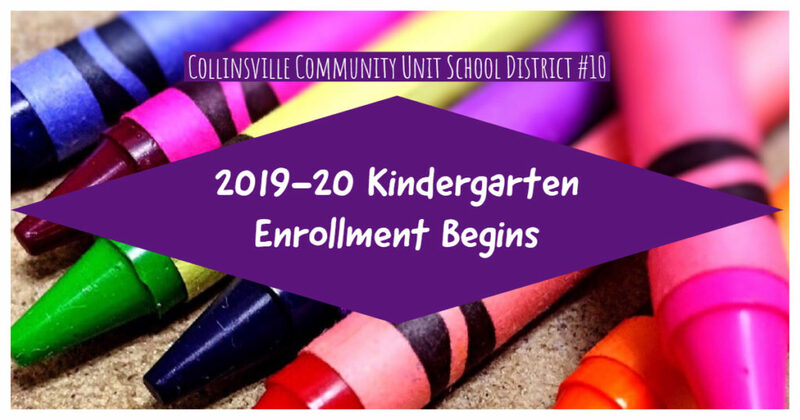 Collinsville Community Unit School District #10 has announced Kindergarten Enrollment dates for the 2019-2020 school year. Enrollment will be held in the Administrative Annex Building, 123 West. Clay Street, on the dates listed below for each school. If you are not sure which school your child will be attending, please contact the Student Services office at 346-6350 ext. 4237 or 4228. Children entering kindergarten next school year including any child previously enrolled in Pre-K or Early Childhood. Children must be five-years-old on or before September 1, 2019. Children entering first grade who are not presently attending kindergarten classes in CUSD 10. Certified Birth Certificate. The certificate issued by the hospital is NOT acceptable according to Illinois State Law. Watch for additional information about CUSD #10’s Gearing Up for Kindergarten program.